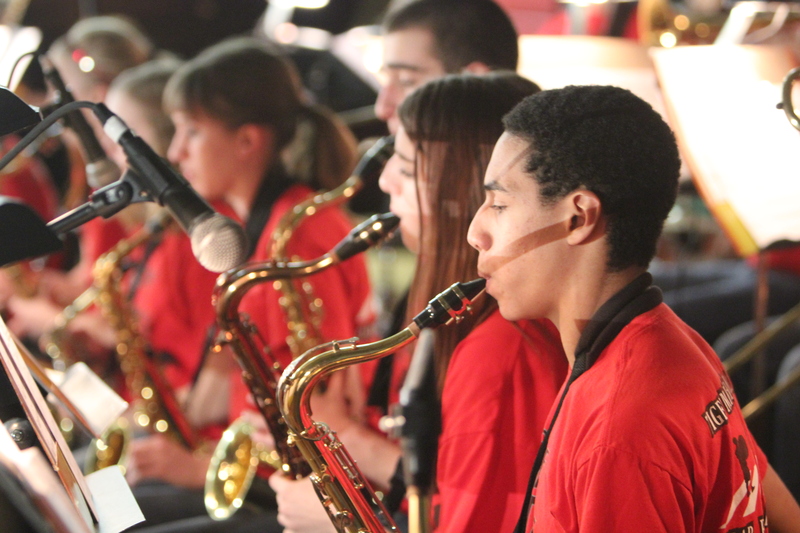 The saxophone section of Jazz, Too! 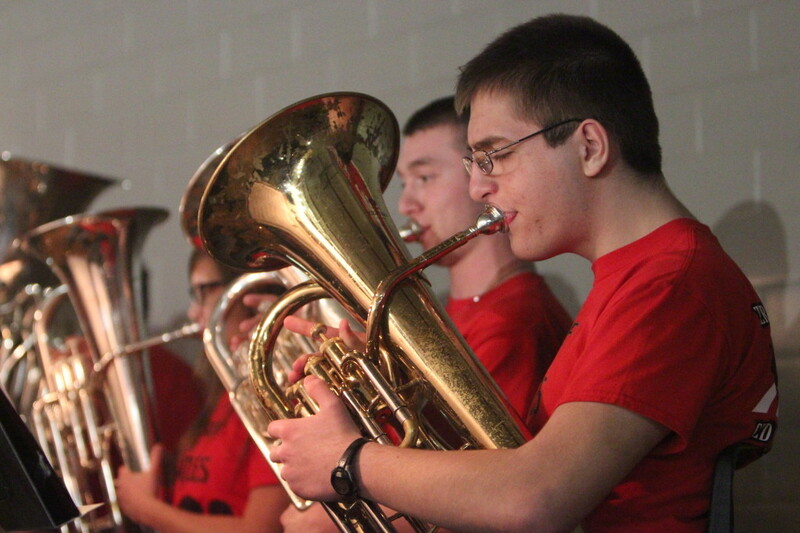 performs. 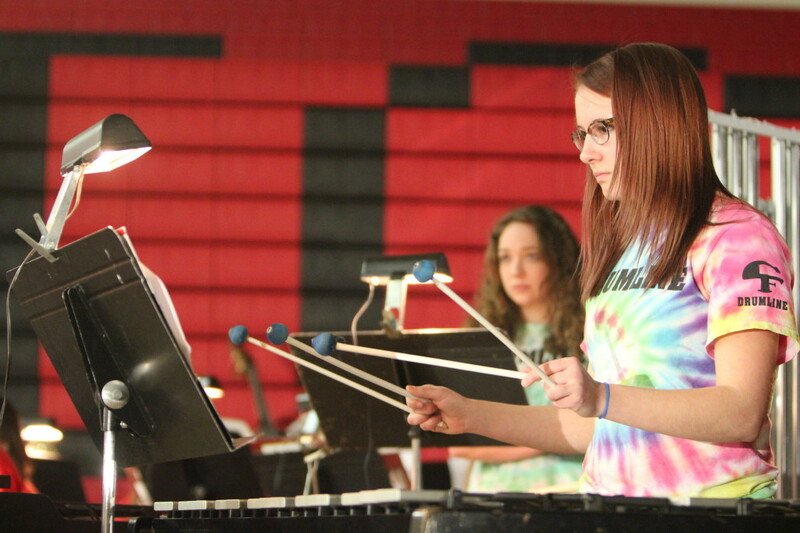 Savannah Lipinski plays mallets with the Wind Symphony. 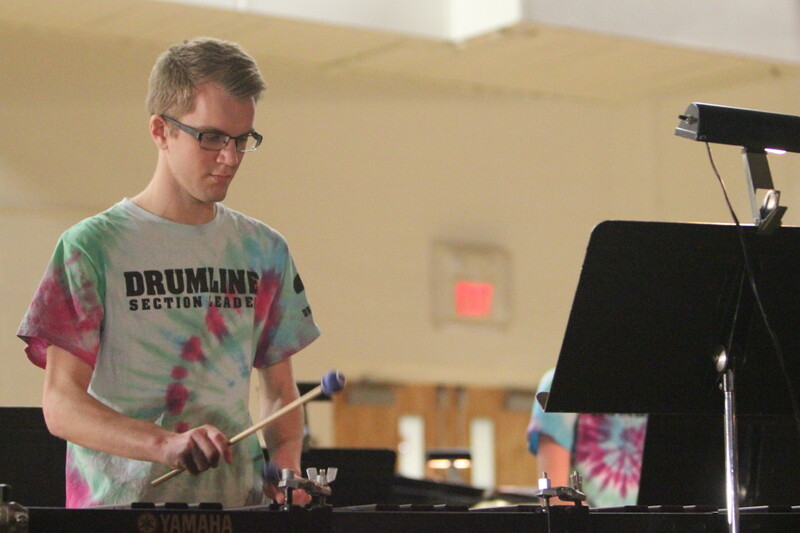 Senior Tommy Truelsen plays marimba. 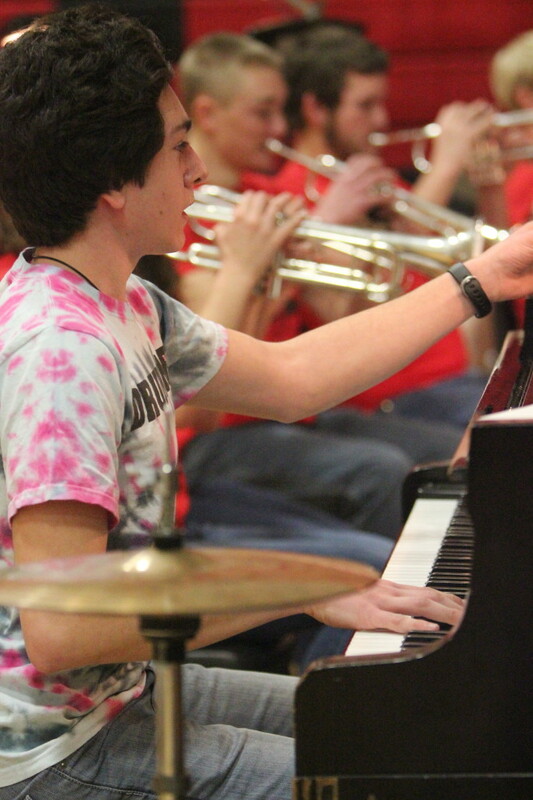 Junior Kyler Boss plays piano. 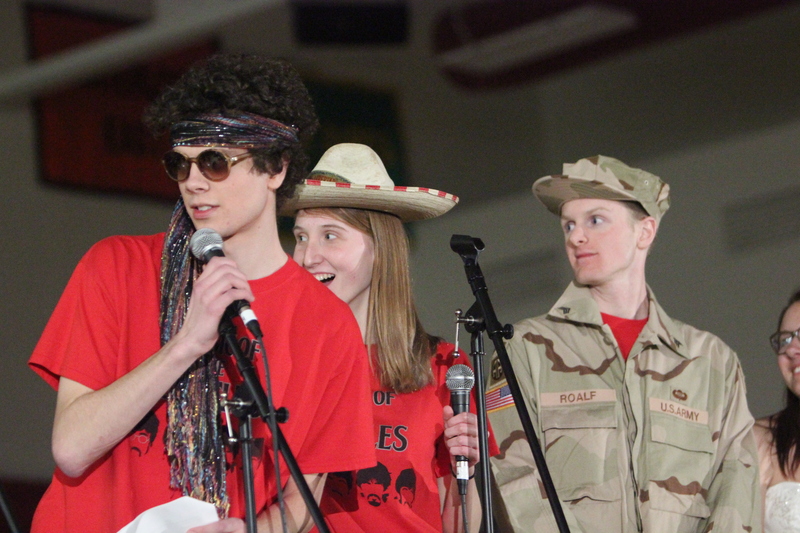 Emcees for the night were juniors Brian Keiser (not pictured), Nathan Hall (left), Becky Ochoa (middle), and Savannah Lipinski (not pictured), with senior Daniel Reinart (right).